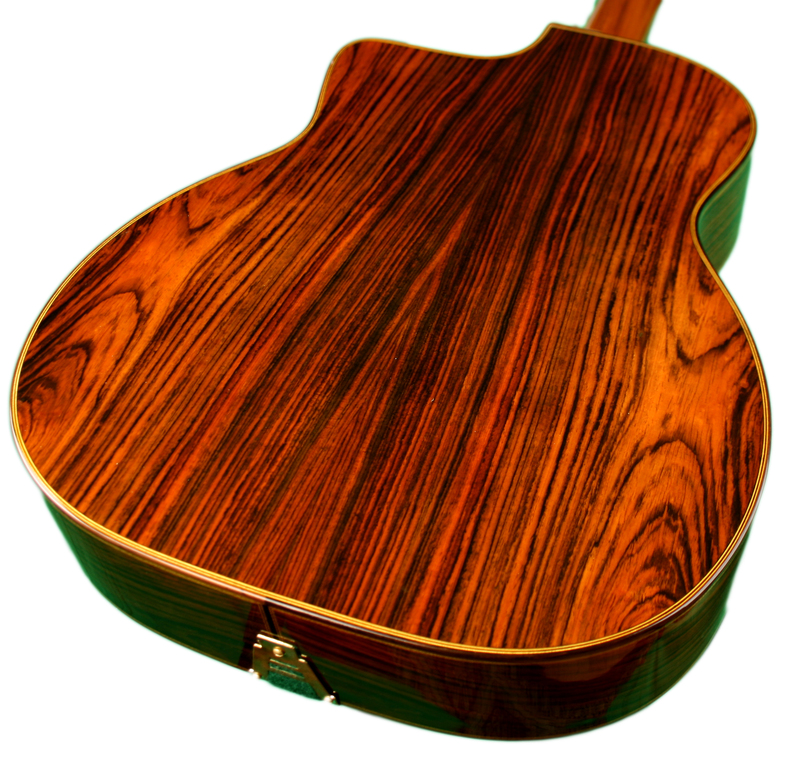 Maurice Dupont has long been one of the most respected luthiers in France and one of the first contemporary makers to specialize in producing the Selmer Maccaferri guitar. 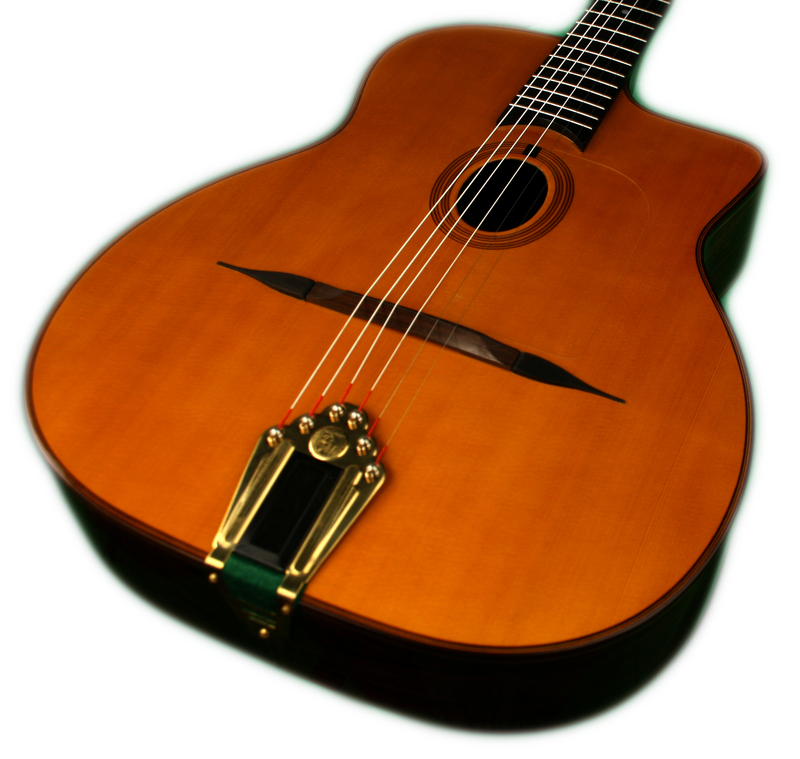 Maurice first gained recognition as a builder of classical guitars and in 1989 was bestowed with the honor of "Best French Craftsman." Maurice was an apprentice of the legendary Gypsy guitar maker Jacques Favino, and in 1986 he began building his own Selmer style guitars which quickly became the most popular choice of professional Gypsy guitarists. 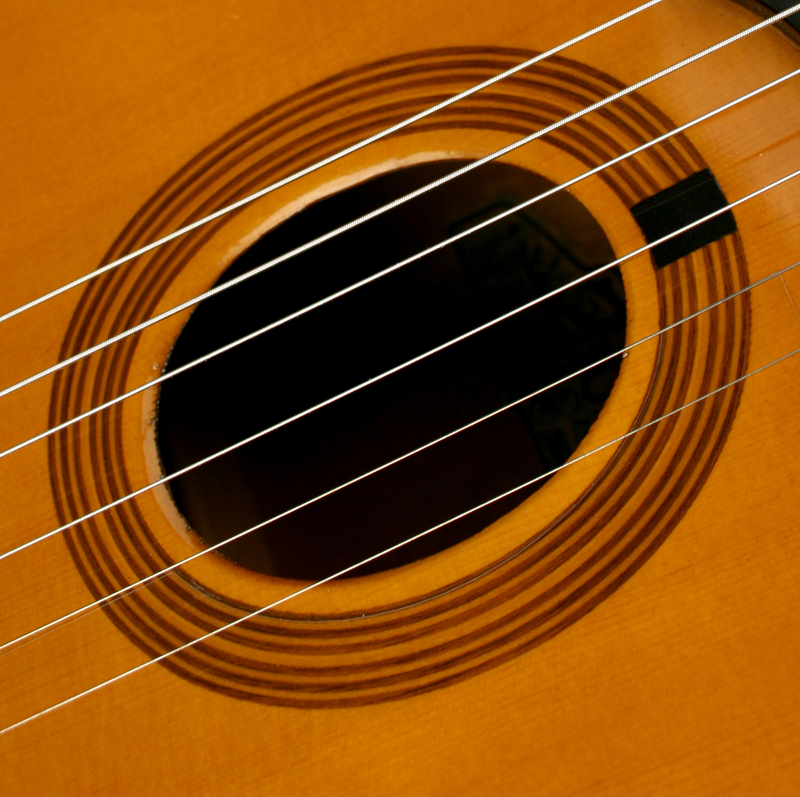 Countless Gypsy stars including Raphael Fays, Biréli Lagrène, Tchavolo Schmitt, and Romane have played Dupont guitars which appear on hundreds of recordings. 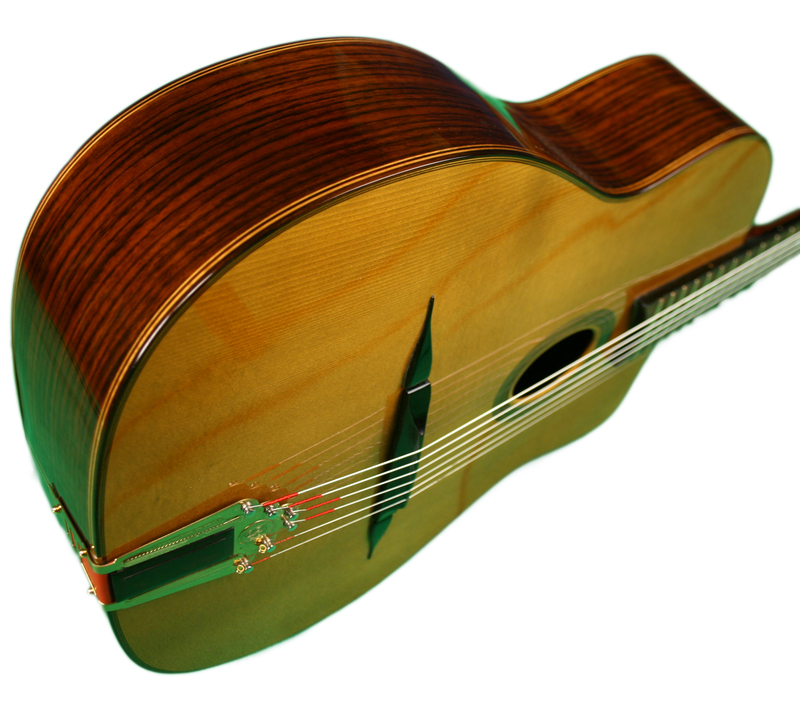 Dupont's Gypsy models are built entirely in Cognac, France by master luthiers Patrick (who joined the Dupont team in 1994) and Mathias (since 2002) under the supervision of Maurice Dupont. The collective experience.of the Dupont team along with Maurice's stock of well aged, select tonewoods yields instruments of unsurpassed tone and playability. This is Maurice Dupont's top of the line Selmer copy. No detail is overlooked with both the materials and workmanship being of the highest caliber. The track record of this instrument speaks for itself, as so many of todays top players use the Vieille Reserve model. Bireli Lagrene recorded the first two Gypsy Project CDs with this model. Patrick Saussois, of Alma Sinti fame, and Romane also play Dupont VRBs. -Highly Figured 40 year aged Brazilian back and sides. -The top has a real pliage (i.e. the wood was bent over a hot iron like the old Selmers. Almost all other Selmer copies have forced tops which aren't as punchy). The sound and playability of this instrument are the best I've ever seen for a new guitar. The only thing better is an actual vintage Selmer or Busato in good condition which is impossible to find and would cost twice as much or more. The Dupont VR is a guitar that plays and feels like a new guitar, but has the clarity, punch, and tone of an old seasoned instrument. I know of no other luthier that builds a guitar with these qualities. This guitar is best for those who like the Selmer sound. Each note is rounded and bell like with a smoky complexity only found in the best of instruments. This guitar also cuts like a knife and requires very little force to do so. 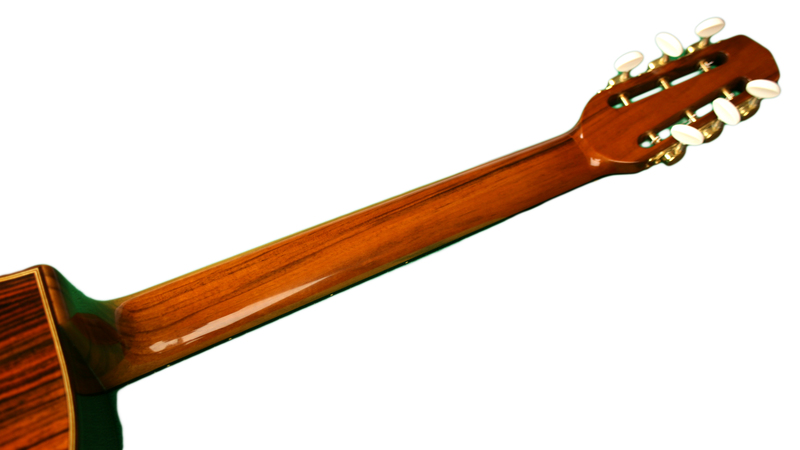 Players with a light touch will be surprised at the volume this guitar can generate. All in all, this is the most traditional Gypsy sound you can get in a new guitar. 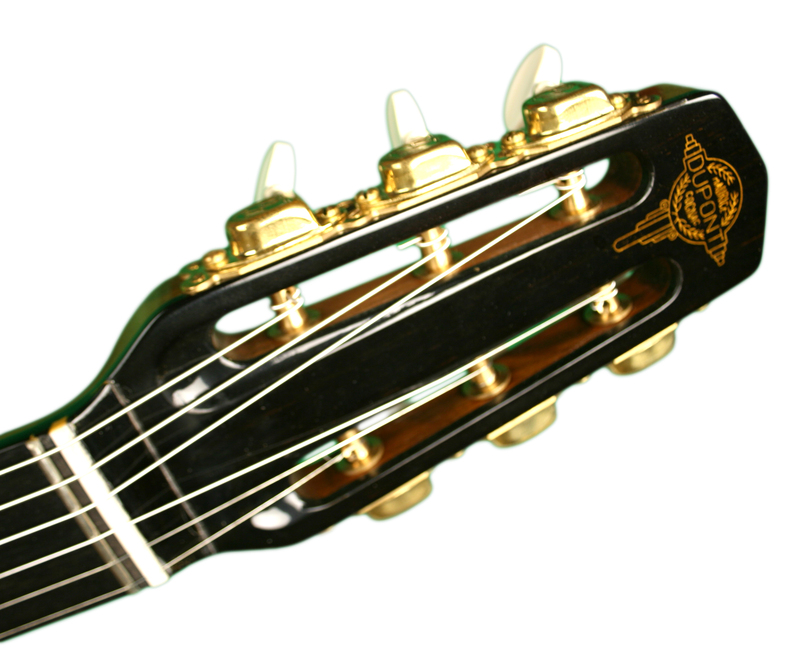 If you like a more modern Gypsy tone then you should consider a Hahl or a JP Favino. Chord punches, tremolos, and other comping techniques sound great on this guitar because they cut so well. An owner's certificate and a bottle of Dupont Cognac are included.